Besides recruiting young talents or experienced experts, continuously training the People working in the agribusiness and food sectors is the other best thing companies should to maintain the competitiveness of their HR Capital. We are regularly deploying Executive Master-level programs and spot custom-made internal trainings together with recognized international and local academic partners and C-grade trainers coming directly from business. Strategic Objective: To create and update transversal professional skills, both for management and technical. 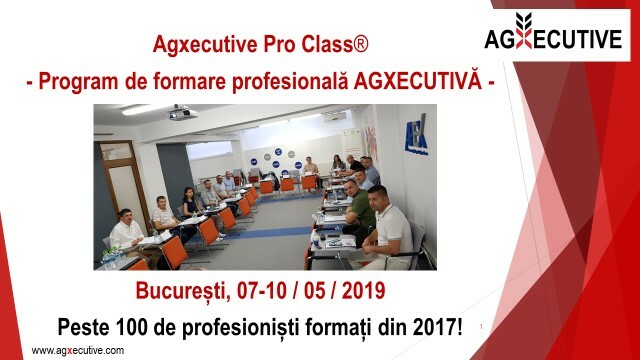 Target participants: Agxecutive Pro Class® aims to quickly develop talent managers from agricultural and food companies with a minimum of 3 to 5 years of experience and evolving in the Black Sea region, one of the most important poles for the development of European agriculture.